✔ FAST ICE CUBES within 8 MINUTES so that you will never again have to buy ice at a convenience store. This ice maker produces ice cubes in less minutes than it takes to run to the store. 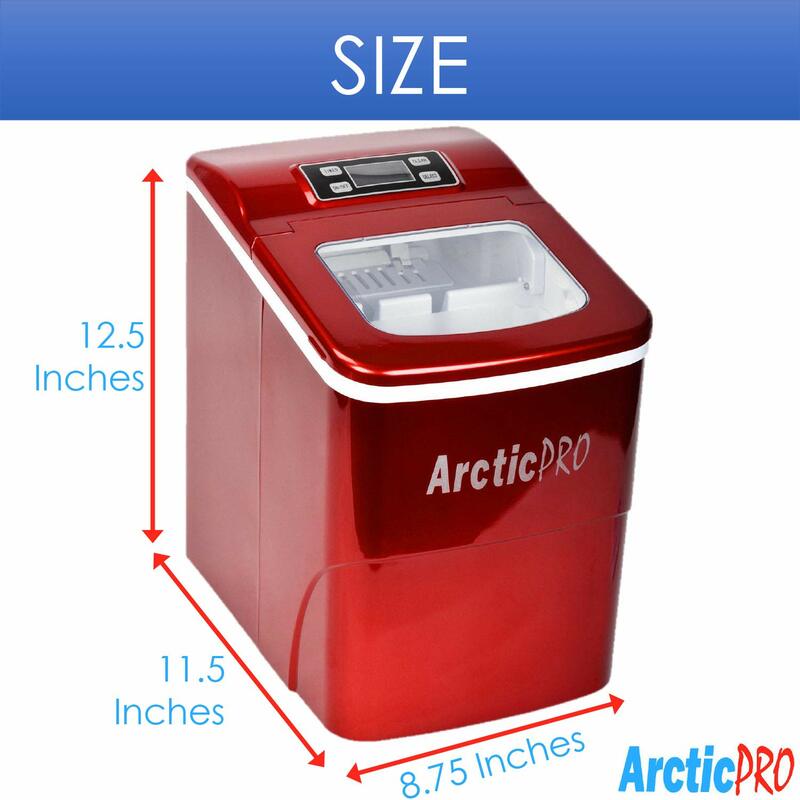 Featuring a powerful compressor the Arctic-Pro Portable Ice Maker PRODUCES 26 POUNDS of ice per day. Never worry about running out of ice and be confident that your party guests will never have to wait on a refill. It’s removable tray and scoop are for easy ice transfer ice to your guests. ✔ SUPER EASY TO USE just fill it up with some water and press on and that’s all you gotta do, it's that simple! 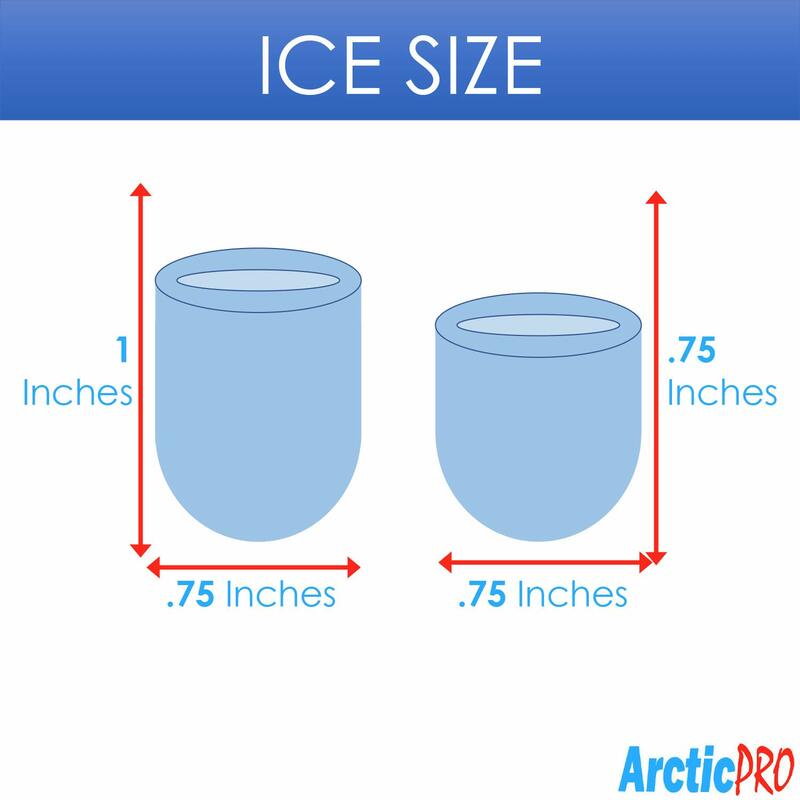 You have the options to choose from 2 size ice cubes, Small or Large. 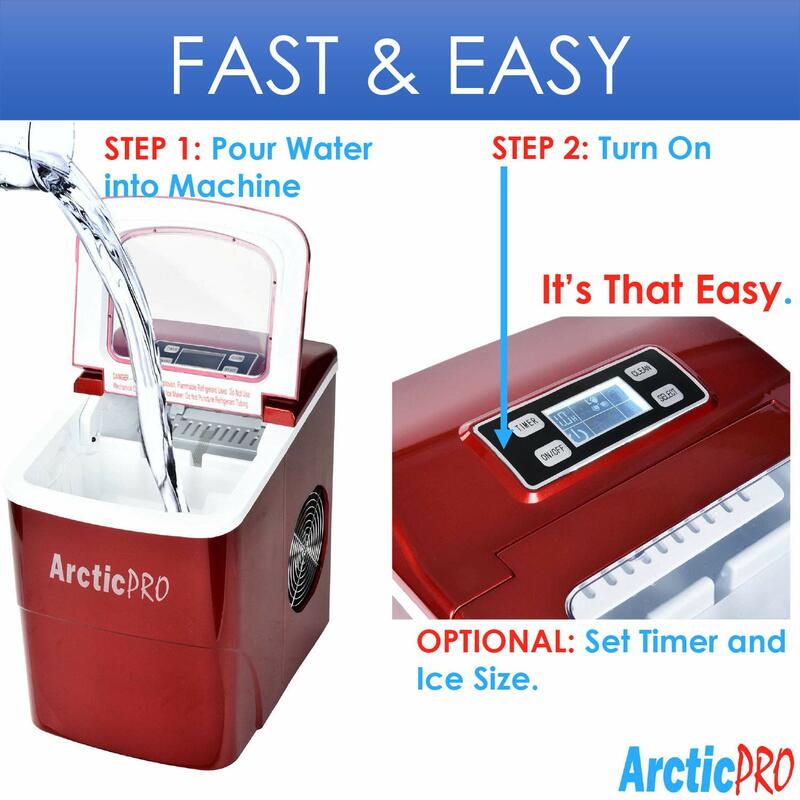 Run the Arctic-Pro Ice Maker all day or set it on a timer. Use the super intuitive and easy to use DIGITAL SCREEN to see what to do with the ice maker and what's going on. It’s LIGHTWEIGHT and compact design makes it easy for you to move and travel with. GREAT FOR use at pool parties, home bars, offices, tailgating! 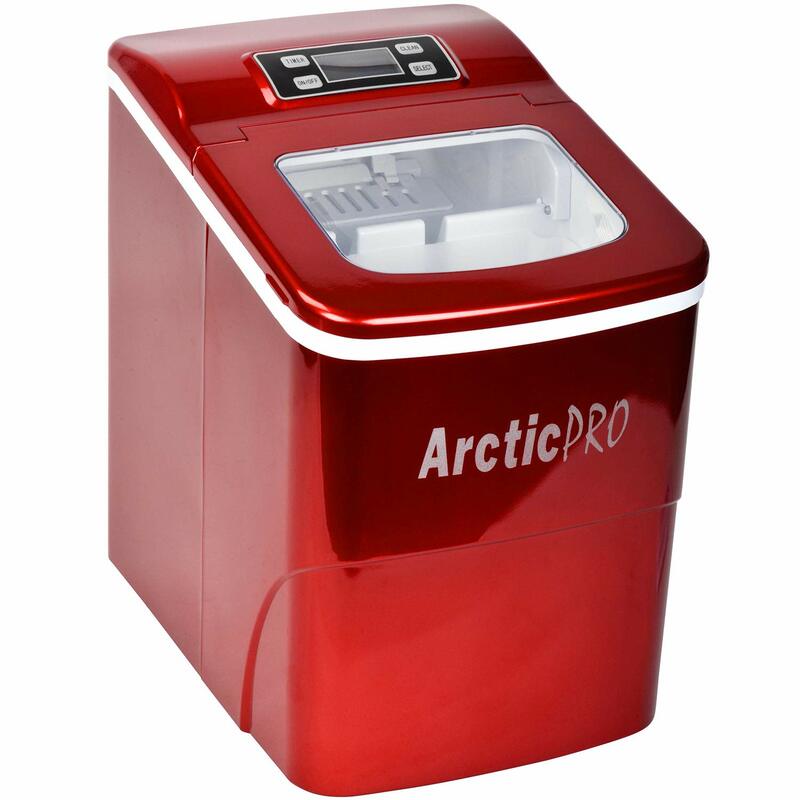 ✔ PEACE OF MIND with the SEE-THROUGH WINDOW top allows you to monitor the amount of ice that is being made and ice level checking, But it doesn't stop there, this ice maker is INTELLIGENT with the use of sensors it won’t overfill your bucket. 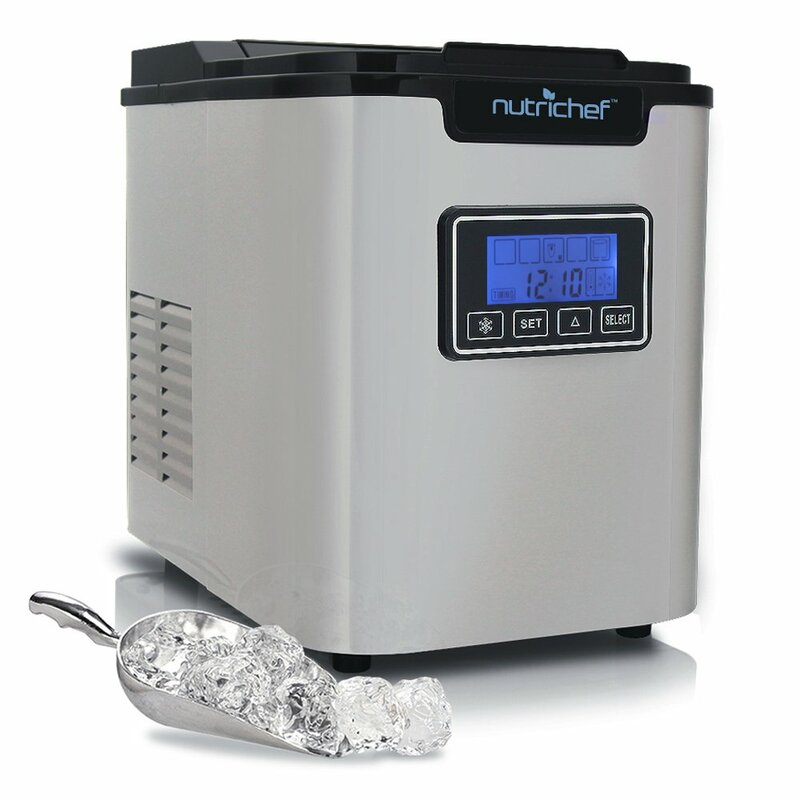 Made with digital controls with an easy to use LCD control panel you are able to choose from two ice size settings. Provide your guest with large(1x.75 Inches) or small cubes (.75x.75 Inches). ✔ THE PERFECT GIFT for someone that loves to keep a cold drink with ice on hand. Perfect gift for a bartender or someone that loves camping, tailgating, boating and taking RV trips. The ultimate gift and the best idea for summer parties and events. ✔ GUARANTEED SATISFACTION because of a 30 day full money bank guarantee. We are so confident in our products that we have no problem giving you every penny back if you're unhappy with your purchase. You won't see promises like that from big box brands! This Ice maker is ETL Intertek Certified for quality assurance. 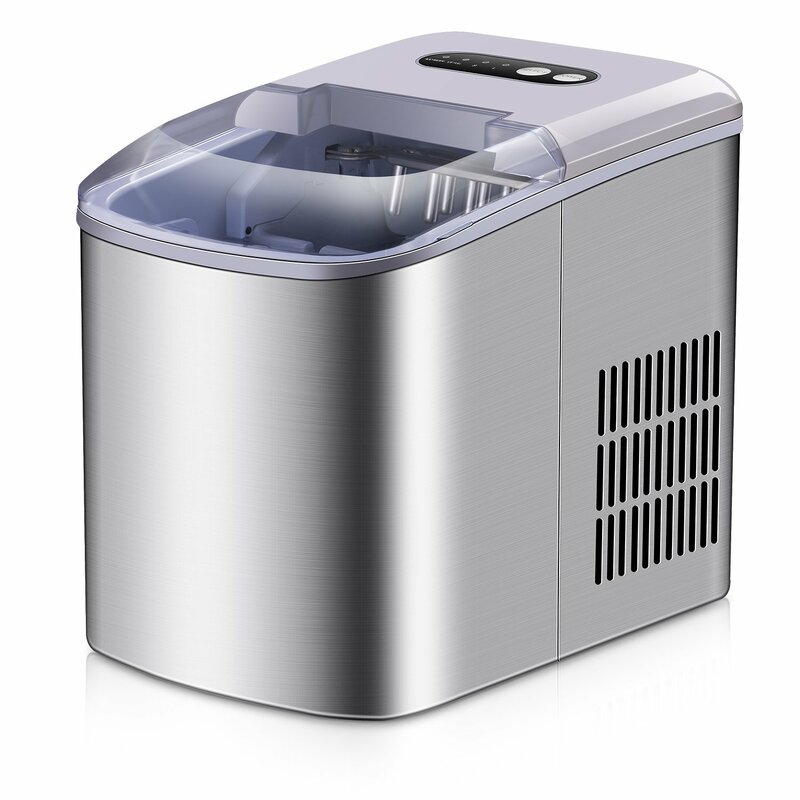 Make cold and refreshing ice at anytime with the Portable Ice Maker Machine. 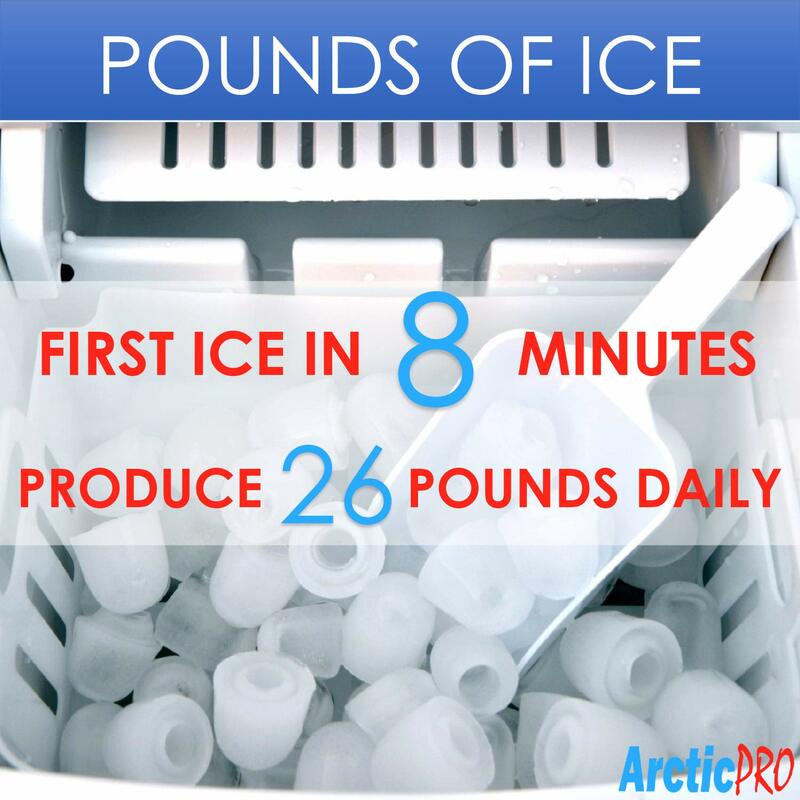 It’s perfect for making up to 26 pounds of ice daily which can be great for parties or those hot summer days! Effortlessly provide your loved ones and guests with the best ice for their cold drinks! 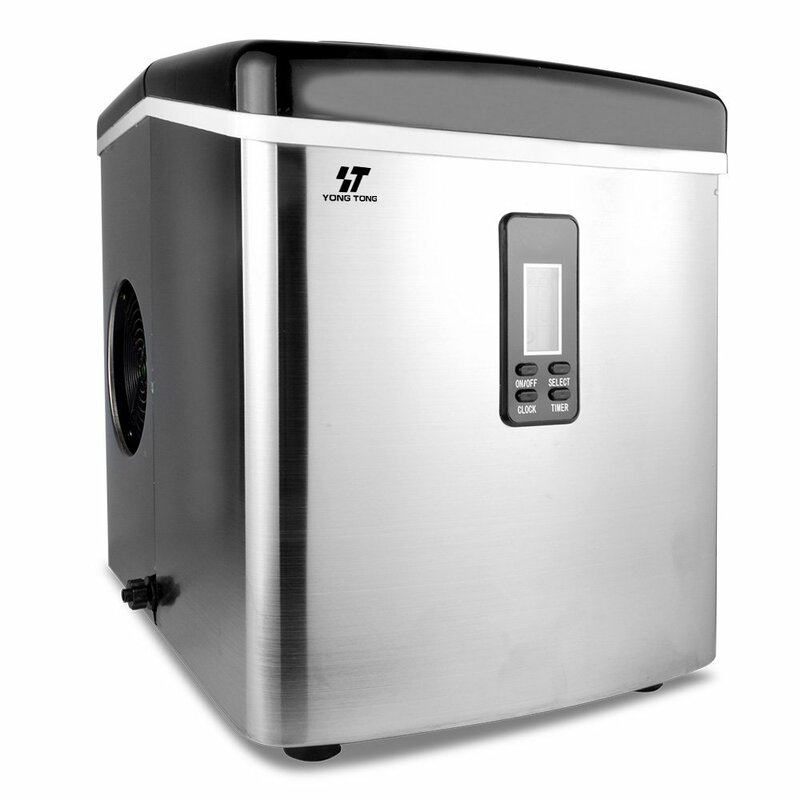 Featuring a compact and contemporary design this ice maker machine is easy to transport and stylish to display. Perfect for pool parties, home bars, offices tailgating events, camping, RVs and more! 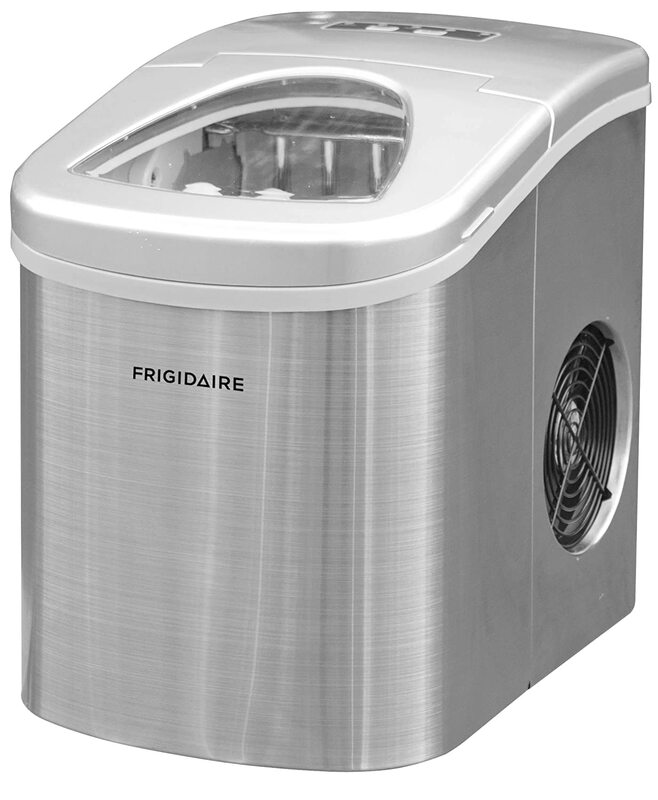 Using this ice maker is SUPER EASY, all you have to do is fill it up with water and turn it on, it's that simple. FIRST ICE IN 8 minutes. Use the digital screen to choose which ice cube size you prefer and even set the ice maker on a timer, or know when there is too much ice in the tray. The ice maker also features a clear view window lid that lets you watch the ice being made but don’t worry this ice maker is intelligent with sensors to make sure the ice basket doesn’t overfill. The water reservoir has enough capacity to ensure several batches of ice cubes to be made. 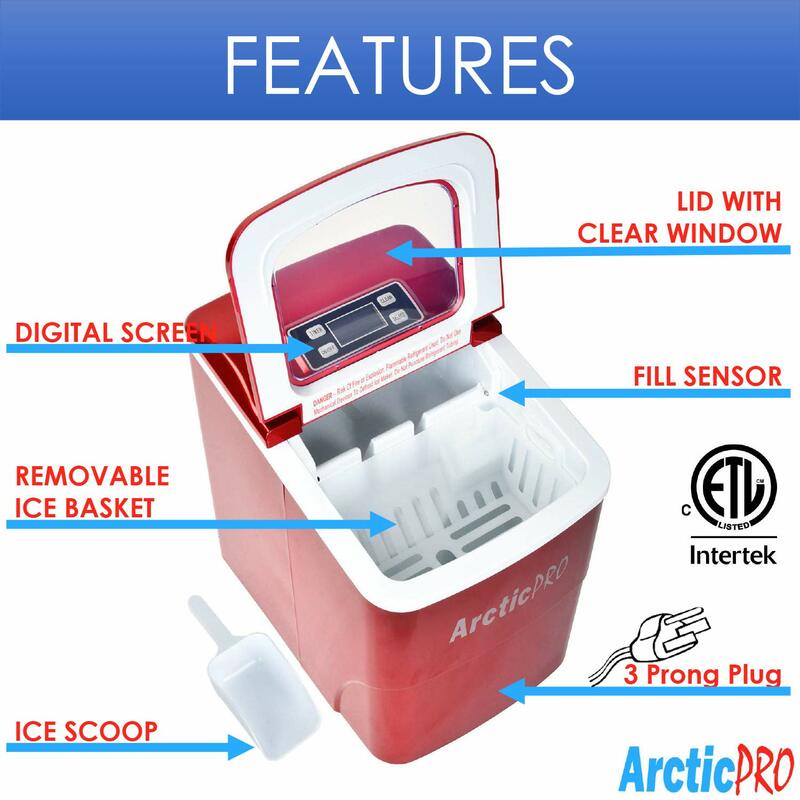 The Portable Ice Maker Machine also includes a plastic ice scoop and a removable basket making ice serving easy for everyone. COLOR: Red. DIMENSIONS: 11.5Lx8.75Wx12.5H Inches.